Chia Wei Lin visited me in my workshop last month. 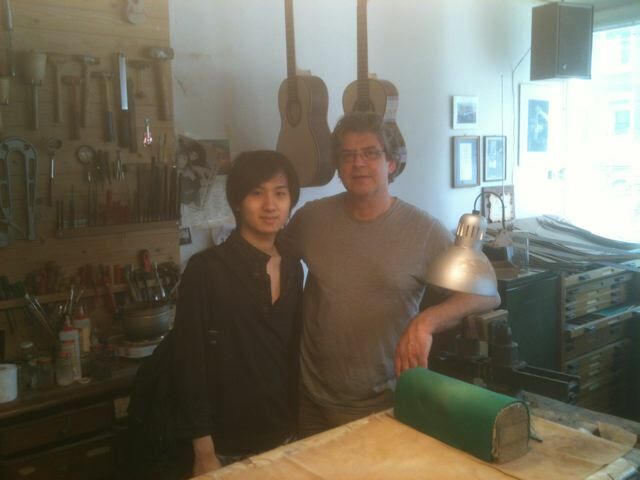 He is a very promising young guitarist from Taiwan, now studying with Hubert Käppel at the Musikhochschule in Cologne. I met him for the first time when he was still a little boy. I was very impressed by his playing. I had all reasons to as you can see in the video in which he is 12 years old.